We at 24 forex are always at your service any time you need reliable information about Forex trading and Forex brokers in South Africa. Are you a newbie in Forex trading and you need top quality and accurate information about Forex trading as it concerns a South African? Maybe you have come by much information already, but they all confuse you, and you do not know where to turn? Simply come over here, and we will guide you so that you can make an informed decision about trading Forex. Have you been trading Forex for quite a while now but have not made much progress in your effort? Maybe you have been recording repeated losses and cannot translate your years of experience to profit? The information here can guide you and help you to turn the recurrent red into repeated green. 24Forex is set up for Forex traders in South Africa. We have been in the industry for a very long time and have built experience over the years, which make us the best outlet to guide our visitors towards consistent profiting in Forex trading. The several reasons for failure as highlighted above informed our decision to open this platform and help Forex traders in South Africa to steer clear of the well-known pitfalls in Forex trading so that they can make a consistent Forex trading profiting. One other reason why people record a consistent loss in Forex trading is a partnership with unreliable brokers, who are only out to rob their clients. Unregulated, unreliable brokers can make a lot of difference between a consistent profit and a consistent loss. We have taken the time to pick out the good cherries among the thousands of Forex brokers in the market. We have listed the reliable ones on our platform so that you will not have to search forever before you can get a reliable Forex broker to partner with. Furthermore, we have provided straight answers to a series of questions on our platform so that the trader can get answers to disturbing questions related to Forex trading. Also, the information we provide on our platform is 100% true and can be verified from reliable platforms, like Investopedia and Baby Pips. Consequently, you will be in safe hands when you partner with us since all the details we have provided on our platform are designed for your success in Forex trading. Trading does not have to be a source of worry or make you go bankrupt. You only need the right information so that you can make the right decisions that will lead to a consistent profit. We are here to serve you and will never disappoint you at any time. A list of trusted, reliable, regulated Forex brokers and the minimum deposit required by each of them. Regulated brokers domiciled in South Africa. 100% honest reviews about each of the Forex brokers on our platform with each of them giving expert opinions without charging you a dime. Access to professional guidance by experts in Forex trading, many of whom had been in Forex trading for years. The brokers support several trading platforms, like MT4 and MT5. Deposit and withdrawal processes are very fast on their platforms; we have tested each of them, so we know how they operate. They also provide many payment and withdrawal methods so that their clients can deposit and withdraw their profits easily. Additionally, the deposit is instant with all the brokers, and many of them process your withdrawal within just 24 hours. Afterward, visit the website of the broker to open an account by providing simple details, like your name, phone number, email and other details. Deposit money into your trading account so that you can start trading and also receive training materials from the broker. However, check for the minimum deposit permitted by the broker before you make that deposit. You can start with the minimum deposit to test the water and increase it later when you get more comfortable with how the broker operates. You will never regret your partnership with us on 24Forex.co.za as far as Forex trading is concerned. We are more concerned about setting you up for a consistent profit in Forex trading than anything else. Our years of experience stand us out, and we are ever ready to get you informed free of charge. Yes, we are domiciled in South Africa, but everyone from all countries of the world can also benefit from the invaluable information we provide on our platform. How can Forex traders benefit from 24Forex? 24Forex has partnered with the Best Forex traders in the South African region to provide you with. Get latest News about Foreign Exchange (Forex). Trade from well know traders. We list the most secure platforms Forex brokers in South Africa. 24Forex guides pro-Traders and Beginners. We offer the best Forex trading Apps. The Best Guide Forex trading Guide for beginners. Get a demo account start learning without any commitment or payments. 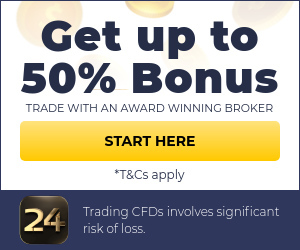 We offer free Bonuses for first time traders with affordable minimum bonus and zero pips. Five Minutes Guide from 24Forex on how to trade. Make a minimum deposit of R1500 on any of our listed accounts and get a free Bonus from our traders, if applicable. Note all partners platforms have been reviewed by professional Forex traders to make sure that we provide you with cutting edge platforms for trade. Banking account details this information. If not confirm with your account manager to make sure that information is not required. Start Forex trading with the guidance of your account manager. Forex trading has improved many south Africans life, many south Africans have quit their jobs they had tripled their salaries in short term. If you’re new to Forex trading in South Africa you may have some questions. Check out our Frequently Asked Questions Guide below. FAQ 1: What is Forex? Forex is an abbreviation of Foreign Exchange, meaning the currencies in different countries. FAQ 2: How do you make a profit by trading money? 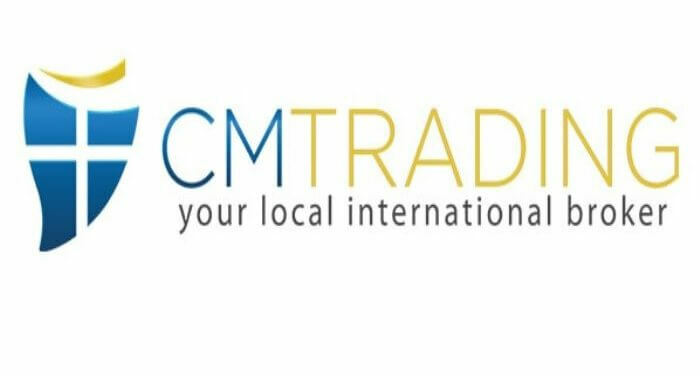 You can trade with most worldwide currencies, all it takes is a bit of capital to get you started. To make money, you need to be aware of the speculative risk that you will be taking. Essentially, you are placing a bet that one currency’s value will increase in relation to another currency. FAQ 3: Can you trade South African Rand? Yes, South African Rands (ZAR as their short code in Forex Trading) are a popular choice for many Forex traders. Many top Forex brokers off ZAR today in pairs with Euros, US Dollars and the Great British Pound. There are a few brokers that may also pair other currencies with the Rand too. FAQ 4: Will I be charged any fees for Forex trading? The fees you pay depend on the broker. Most of the top Forex brokers don’t charge anything for trading through them. However, there may be other additional fees such as fees for withdrawals or account maintenance. FAQ 5: How come the Rand is a popular currency among Forex brokers? ZAR is a popular currency because of the fluctuations in value that have been seen in recent years when looking at its value against USD and GBP. Recently, Rand trading has made up over 1% of the entire worldwide currency trade. Most of this comes from different countries rather than SA itself. FAQ 6: Is there a regulatory body in South Africa to regulate Forex trading? The Financial Services Board (or FSB) is the non-banking related finances, but they don’t issue licenses to Forex brokers often. However, some brokers do have licenses from alternative international bodies such as the FSA or the CySec. FAQ 7: Can Forex trading be taxed in South Africa? Profits from any Forex trading is treated just like regular income and is taxable in the same way, based on the relevant tax rates. You are able to list profits on your income tax IT12 return, listed as foreign income. FAQ 8: How can I learn more about Forex Trading? There are courses that you can attend to become more familiarised with Forex Trading. There are many in South Africa, as well as some online international courses. Furthermore, many brokers offer the flexibility of opening a ‘dummy’ or practice account so that you can ‘trade’ currency in a risk-free scenario until you get confident that you can make gains from it.